The company of v-tech s.r.o. is specialized in a design and manufacture of the clamps and clamping systems for CNC machining. 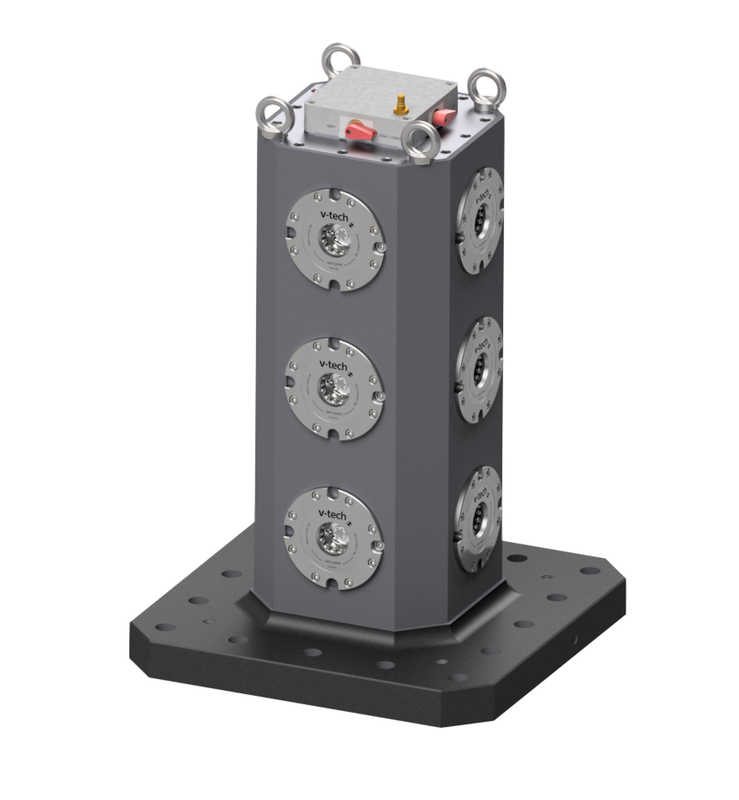 All of the devices are designed in its own Design Centre and they are produced precisely on our machinery. We sell the experience that we have acquired in our own production plant. Owing to this, we are capable of implementing solutions so that they meet our requirements to the maximum extent. We make our clamps using the materials of the top quality and the perfect processing can be revealed by a naked eye. We produce all the clamp related components in the Czech Republic. 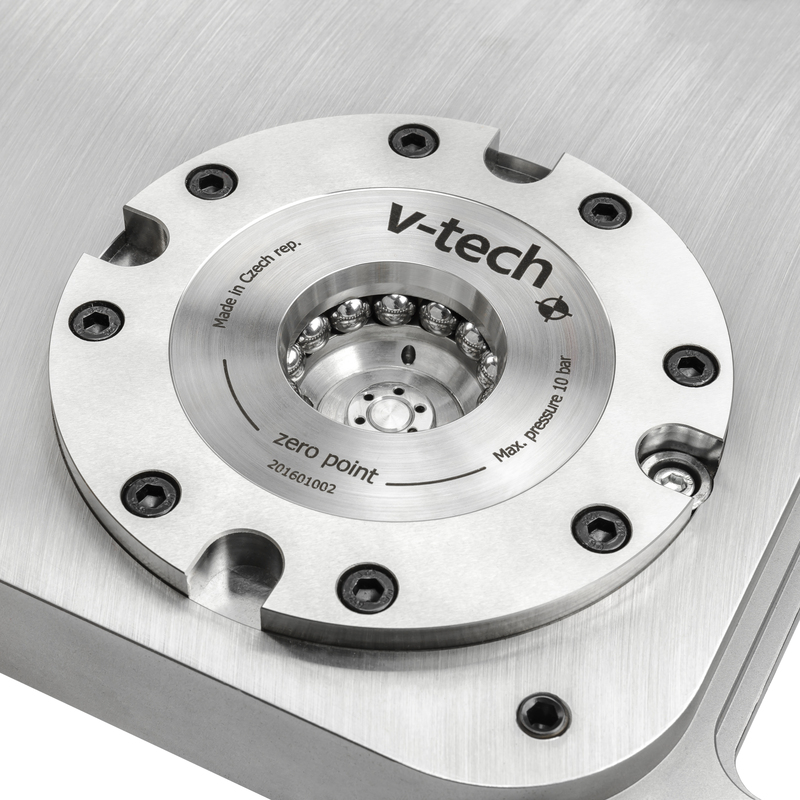 The pneumatic quick-change ZERO POINT clamp is a basic building block of the clamping system portfolio in v-tech. 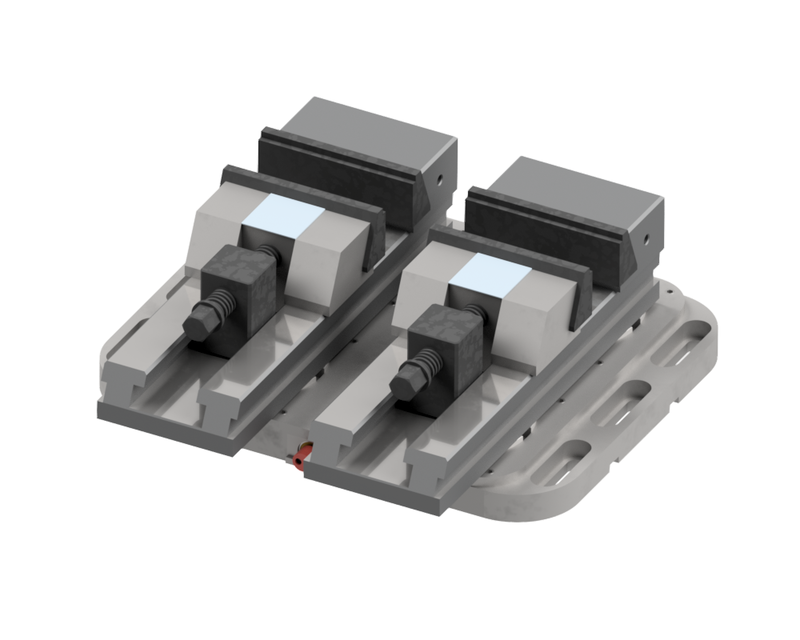 It features the compact dimensions and extraordinary high clamping force used for the clamping pin retraction. 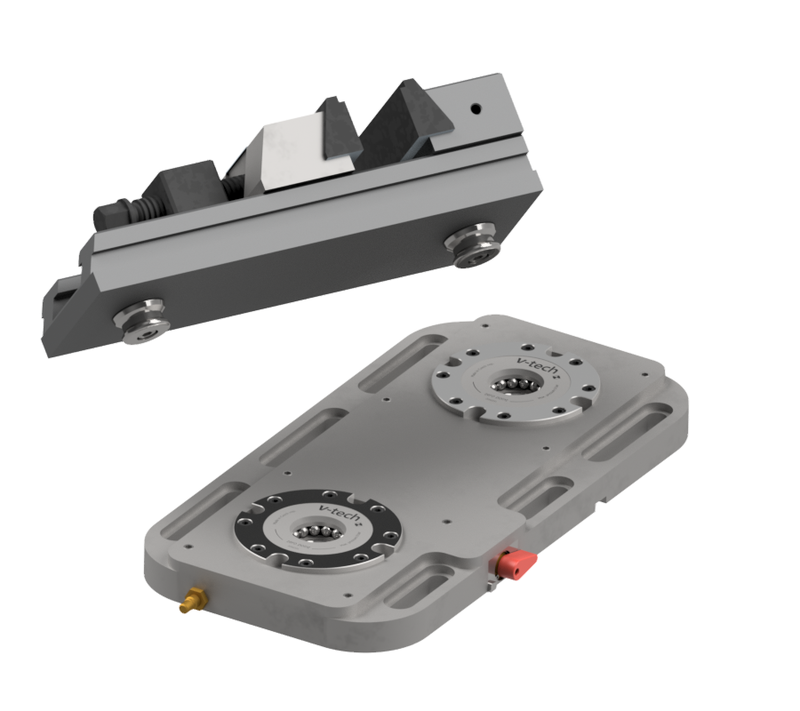 This solution is primarily intended for the application on the CNC machining centres where the strictest requirements are imposed for accuracy and safe clamping of a workpiece. 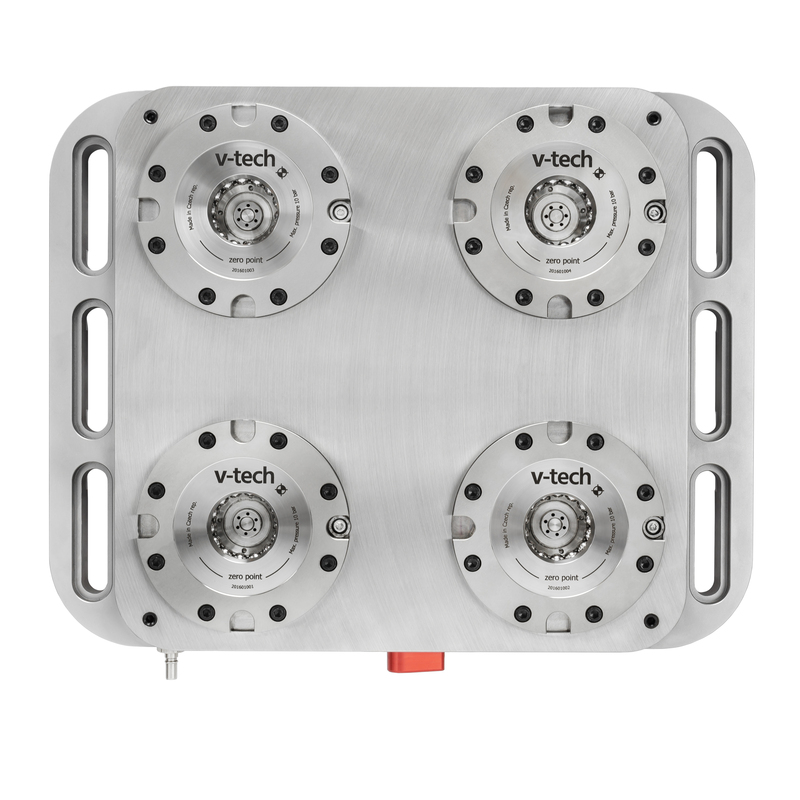 The ZERO - POINT solution from v-tech s.r.o. 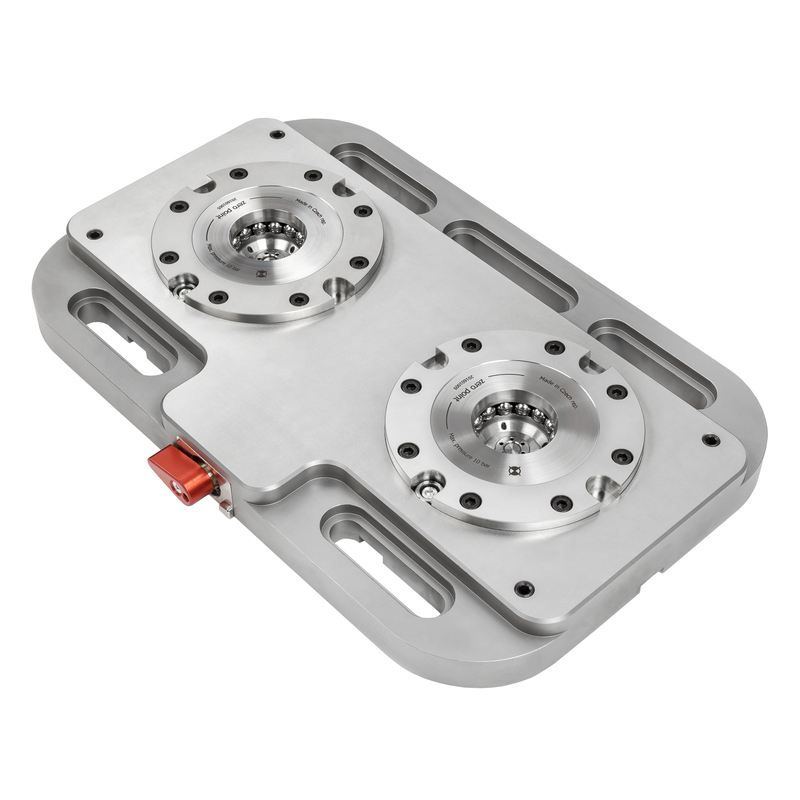 will bring you a radical reduction of the time required for clamping and setting of the clamping device on your CNC machining centre. 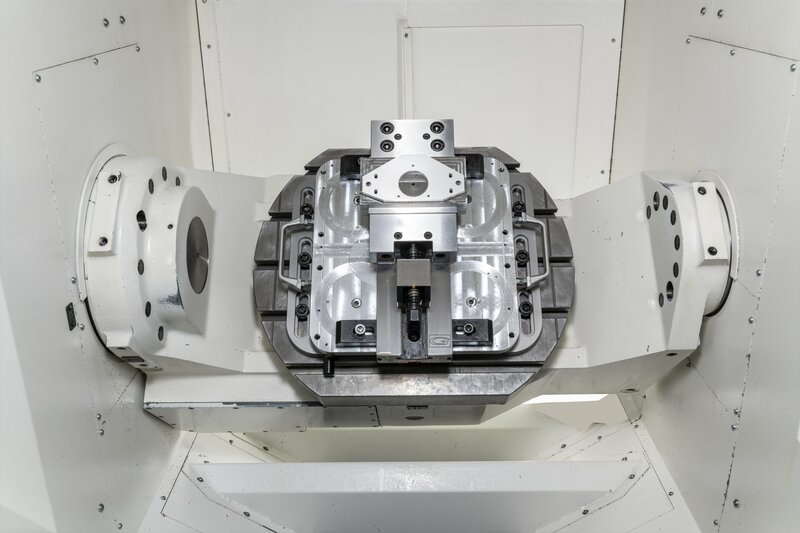 Cut down more than 90% of this time to enhance the productivity of your manufacturing process! The high pulling force of the pot is possible due to the unique design of the clamping pneumatic piston the shape of which is optimized for even distribution of the contact voltage while the compact dimensions are maintained. 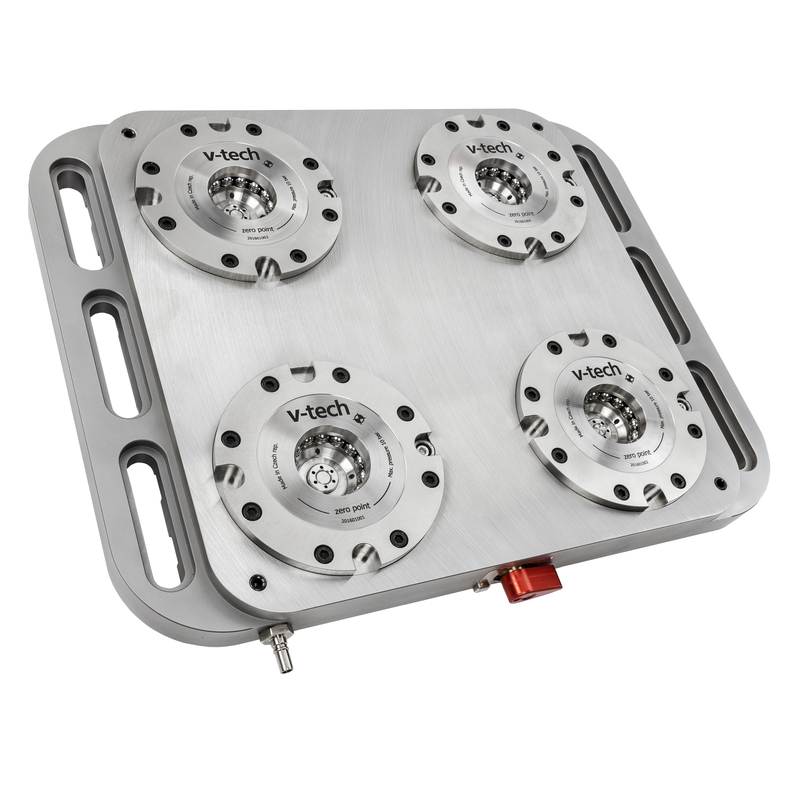 The clamping base with 2 pots is suitable for a quick change of precision vices for CNC machining centres. 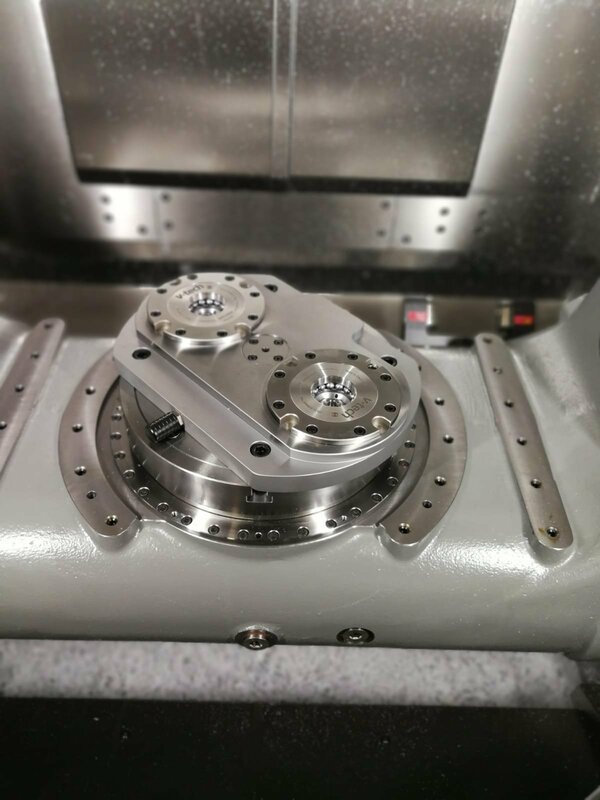 All you need is a simple and quick intervention to change the clamping device in no time to reduce by doing so the undesirable setting times. The base is made of the top quality refined steel with an emphasis on the precision processing. 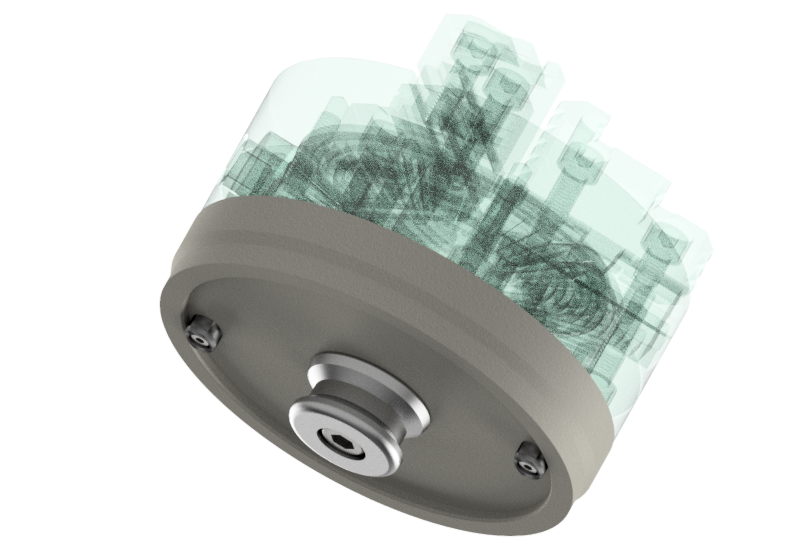 The clamping force of 2 x 24 kN allows application even for the most demanding roughing operations. 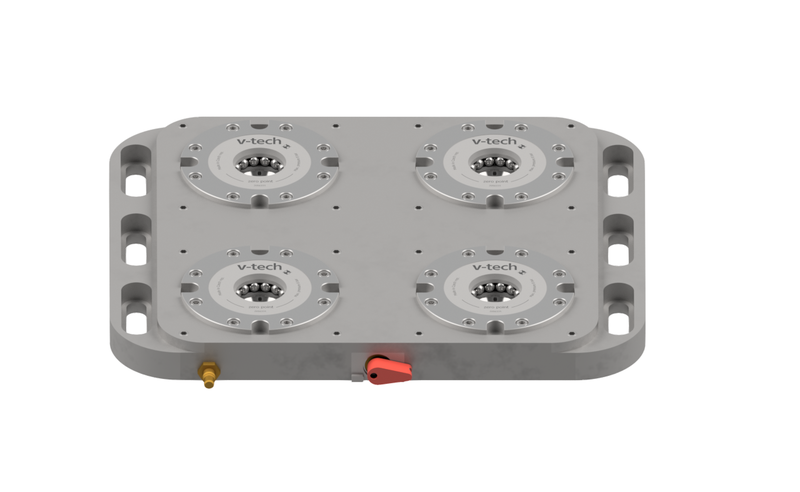 The version of the base with 4 pots provides a compact solution for quick clamping and positioning of the mechanical vices and clamping fixtures on the tables of vertical CNC milling machines. The positioned element can be combined easily in two directions perpendicular to each other. 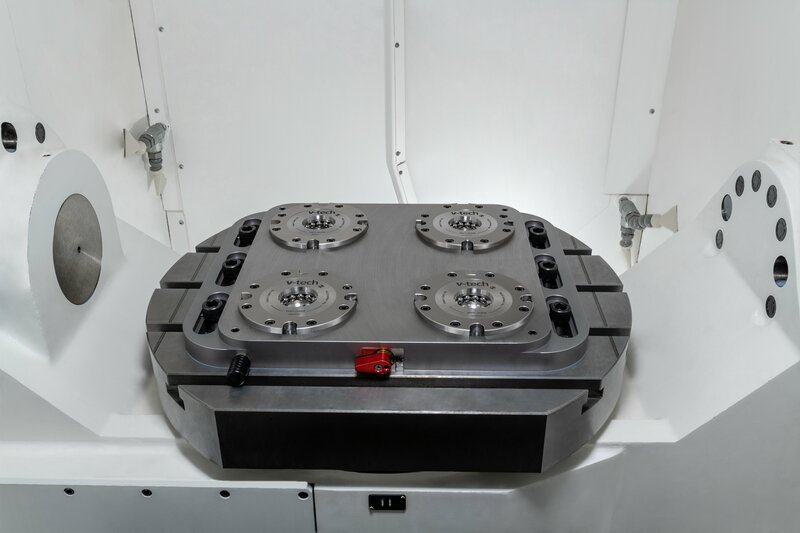 The base can be conveniently used for machining of the larger parts, for example, plates. The arrangement variability is very wide. The present centrepiece of our portfolio is the base with 6 clamping pots. 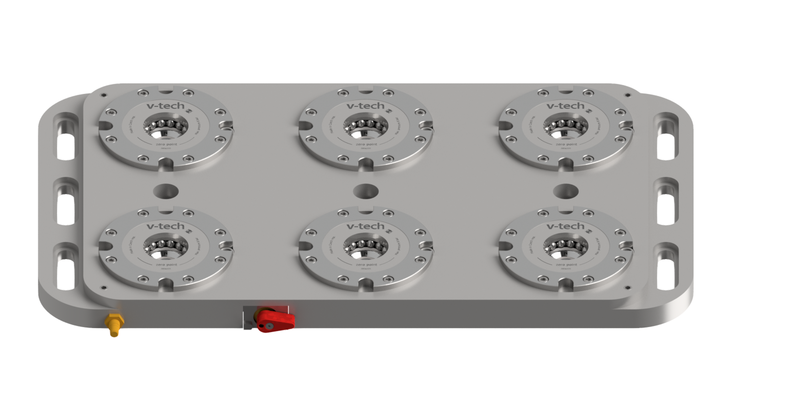 The main advantage of the solution is the possibility to position more mechanical vices in several configurations. It can be also frequently used for the needs of series production where a clamp with workpiece is clamped in each pot. 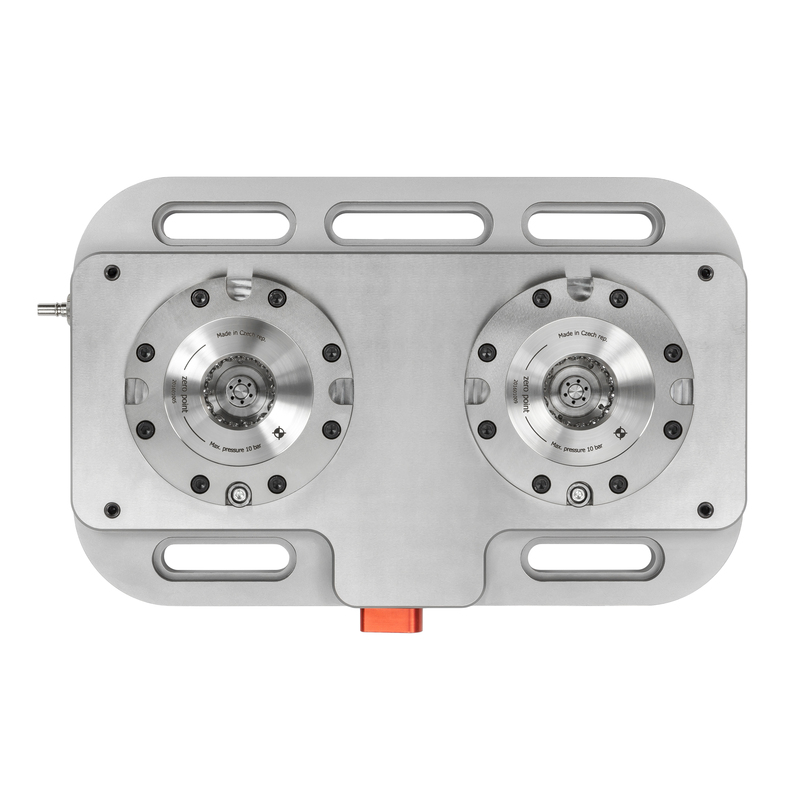 With the 90° pot indexing feature, this workpiece can be indexed in a simple manner. Application of the top quality heat treated tool steels and precision processing are the matter of course. Everything is controlled pneumatically. 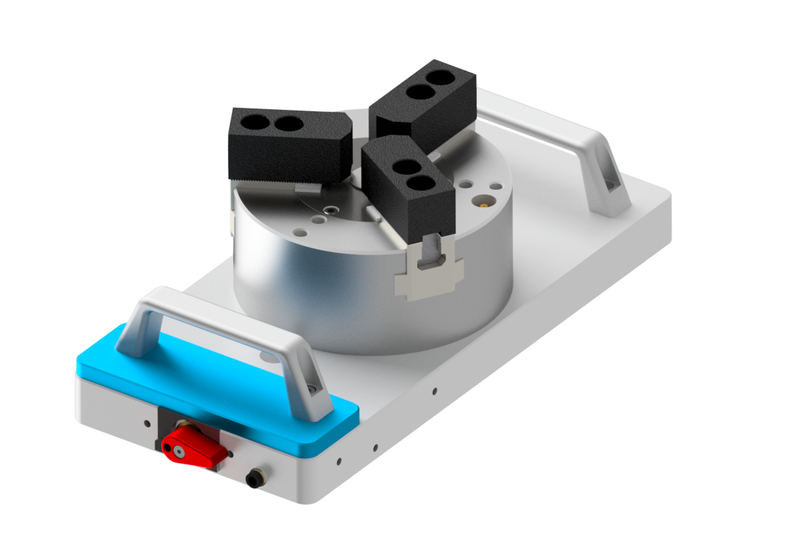 The universal change pallet for clamping your fixture or another clamping device in the clamping base of your machine. As standard, it incorporates the handles to facilitate handling. It is made of steel or high-strength aluminium. the clamping pin designated to position pallet in the exact position. 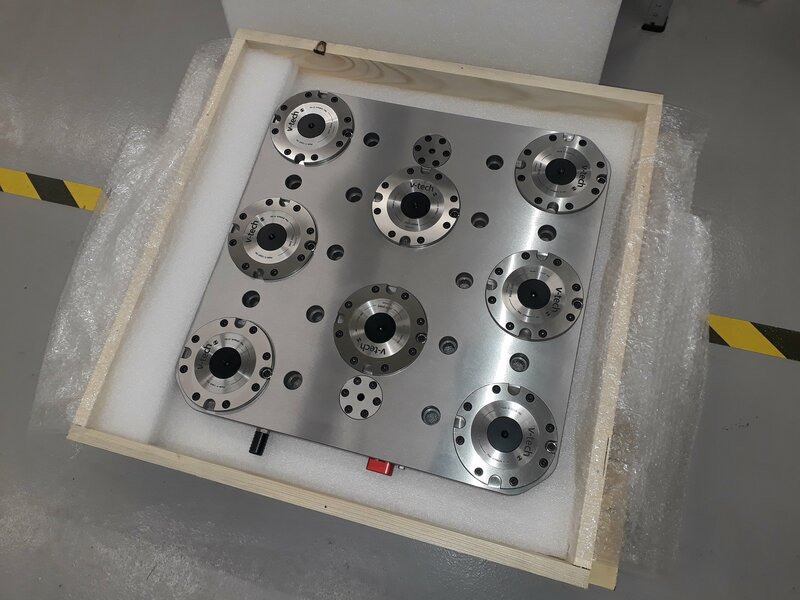 The pin is mated in the clamping pallet via the precise Ø 25 h6. 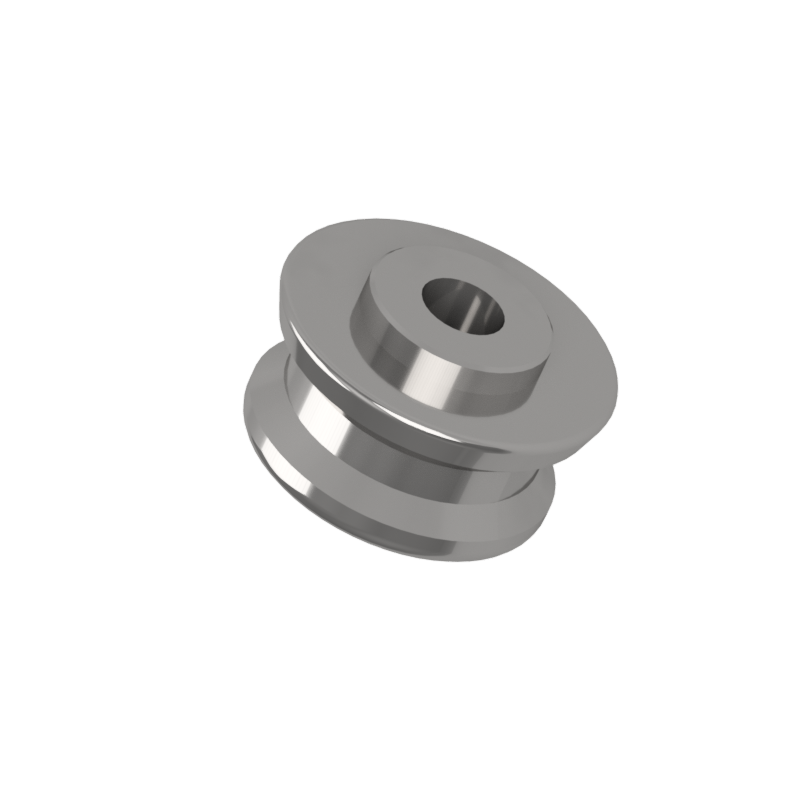 The pin is made of a refined hardened steel of the top quality. this clamping pin is used to eliminate heat dilatation of the clamp that is clamped to the base. Smaller size of the fitted diameter allows movement in two axes. This method can be conveniently applied in the applications under which high heat is generated. For example, when roughing is done without using any cooling emulsion. the clamping pin with 1° of play is used to eliminate the heat dilatation in one direction. This direction is indicated with the groove milled from the pin face and it must be mounted in this way to the change pallet or the clamp. 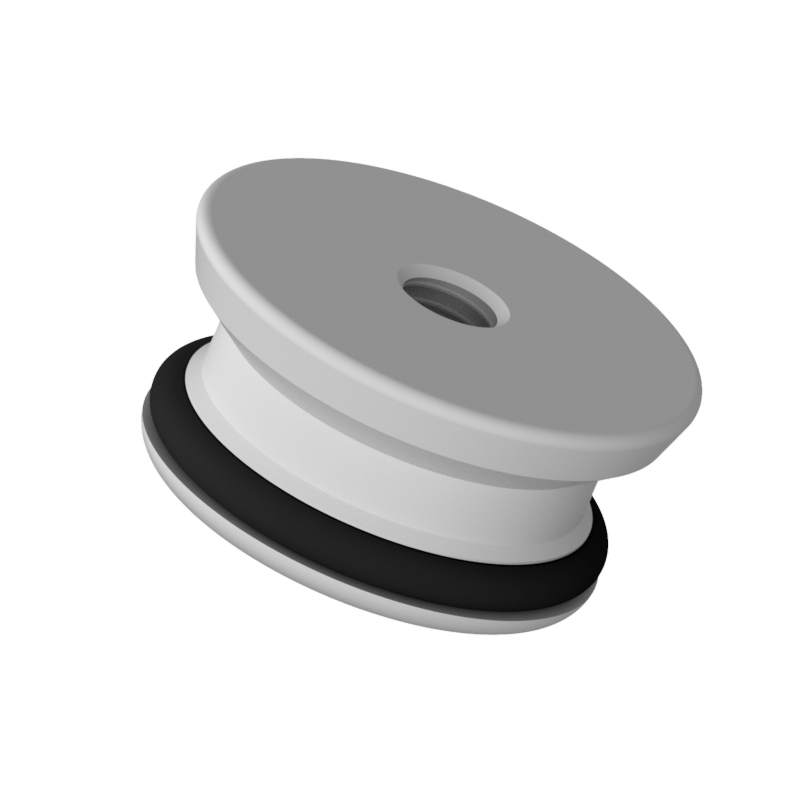 to prevent ingress of undesirable impurities into the clamping pot, it is convenient to use a blinder plug that is used in case the pot is not used. 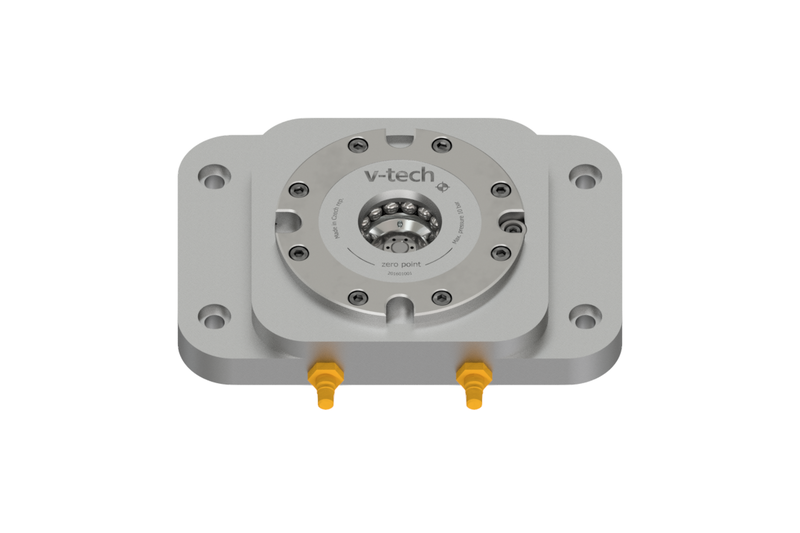 The pneumatically operated universal chuck with integrated air piston including adapter and control valve is a powerful tool for quick replacement of semi-finished products. 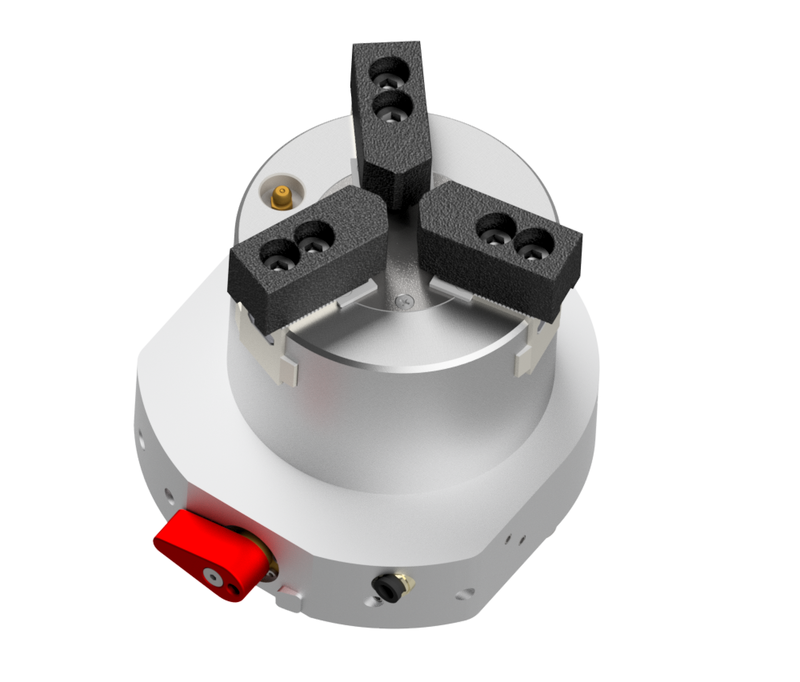 The clamp is optionally configured along the clamping base and centred on the outer diameter of the clamping nest. E.g. 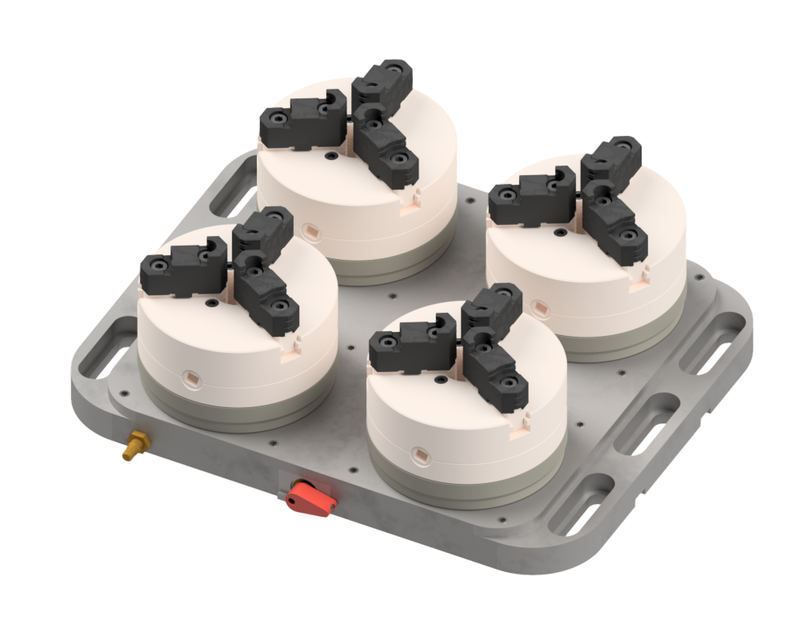 6-nest clamping base can be fitted with 6 universal chucks to create the multiple productive clamping system. Universal chuck is fitted with standard jaws. On request, the chuck can be equipped with the foot pedal or electric switchboard for remote control. Pneumatic chuck dia. 165 is a larger alternative to dia. 110. 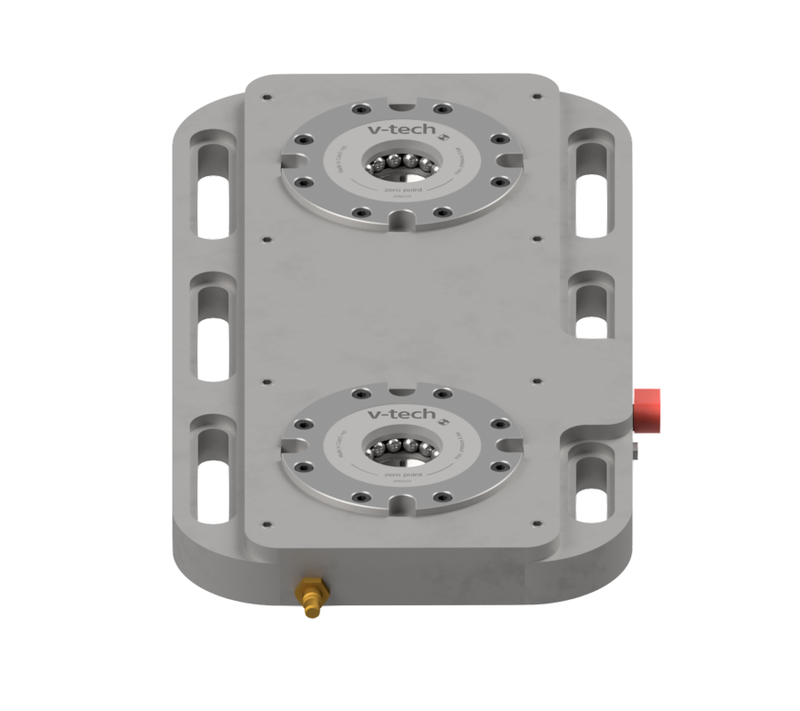 The universal chuck with integrated air piston is seated into an aluminium exchangeable pallet including control valve and two clamping pins. To locate this pallet, at least two clamping nests with the spacing of 200 mm are required. This ensures the firm clamping important for roughing operations. 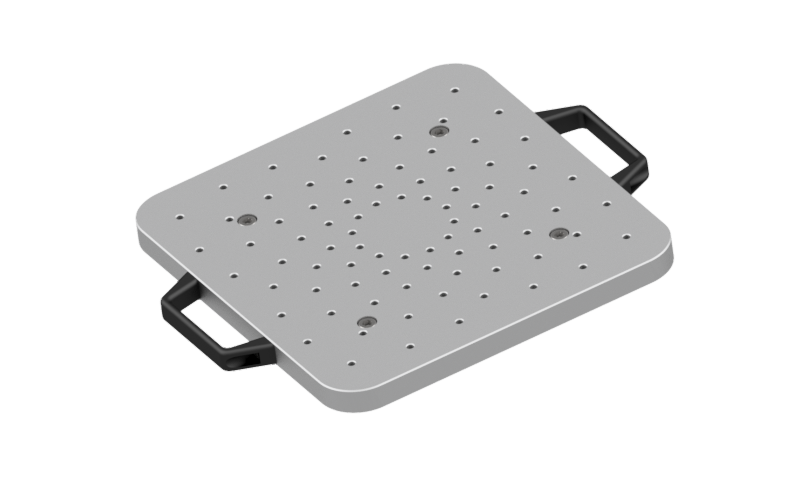 The exact chuck position allows palette to be configured in any direction and locating points on clamping base. On request, the chuck can be equipped with the foot pedal or electric switchboard for remote control. 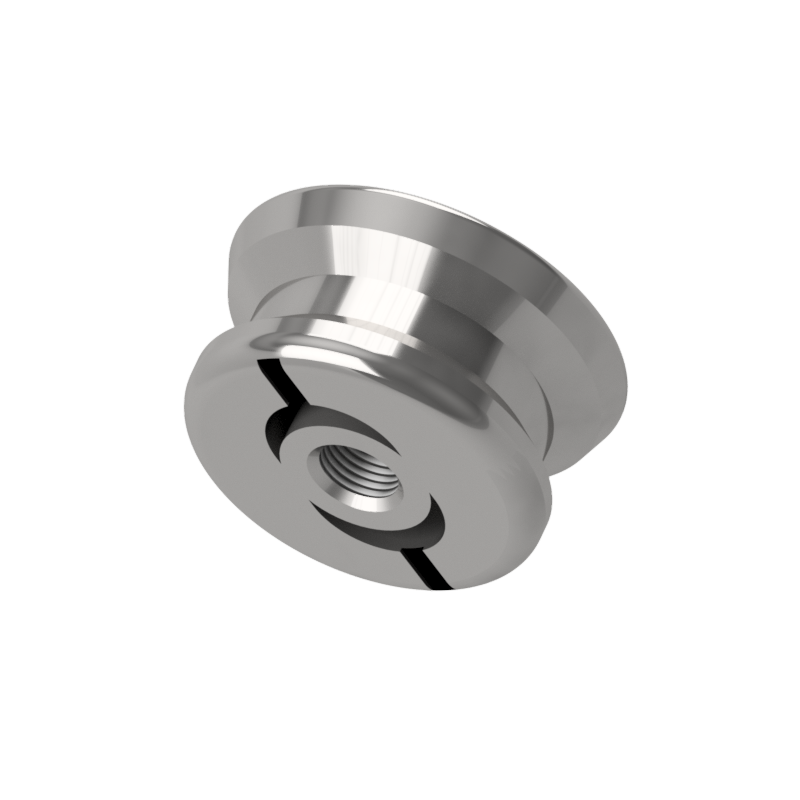 The adapter is used for precise and rigid locating of any universal chuck on the clamping nest of dia. 135. 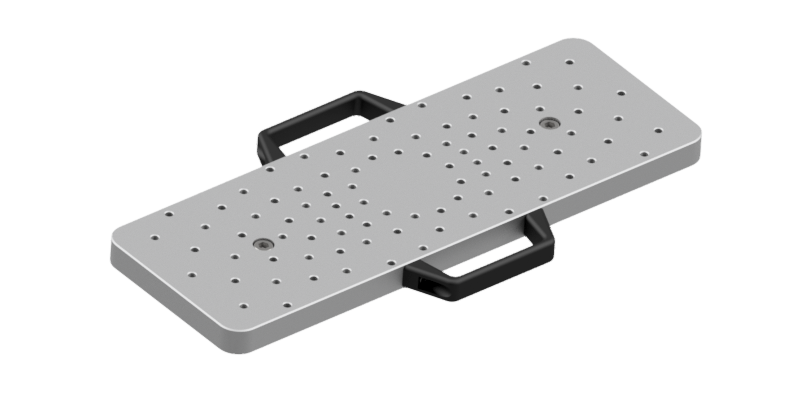 The adapter includes a clamping pin and locking screws to secure precise positioning. 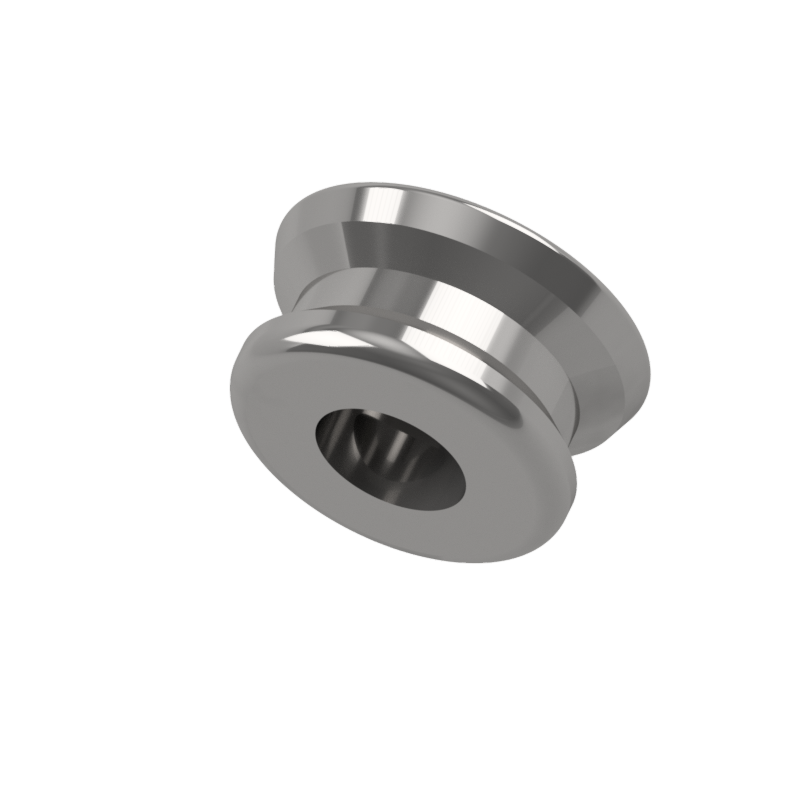 Adapter is available as semi-finished product as standard for customizing your particular universal chuck. On request, it can be adjusted according to chuck of your specification. Didn't find the right solution? Do you have specific requirements? Feel free to contact us! We are manufacturers and we can adapt the standard solution to your ideas.